Lincolnshire is a county in the east of England, with a stretch of coastline along the country’s North Sea shore. Over a million people live across the county as a whole, which has a wide selection of property to suit a range of tastes and budgets. At My Home Move Conveyancing we provide a specialist, fixed fee conveyancing service. We can help you find your perfect home in Lincolnshire, having developed our knowledge and expertise of property markets like this since 2001. If you’re thinking of buying or selling property in Lincolnshire, you’ll need to instruct property lawyers to carry out the legal work for you. 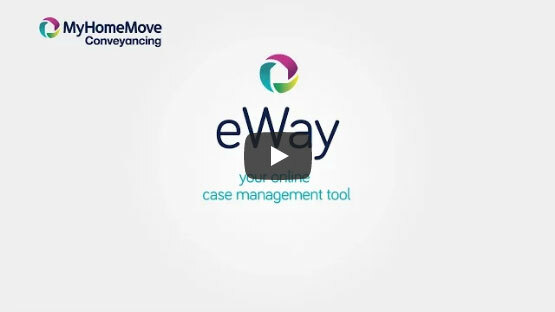 My Home Move Conveyancing can offer you award winning customer service, revolutionary use of technology and intimate knowledge of the local market. Our service comes for a fixed fee, so you’ll know exactly how much you’re going to pay from the outset when you choose us to be your Lincolnshire conveyancers. For even more peace of mind, you won’t have to pay us anything if you don’t end up completing. You’ll be assigned a dedicated conveyancer who’ll look after your case from start to finish, regularly providing clear updates on the progress. You’ll also have 24-hour access to your account, giving you all the support you need, when you need it. We get things right first time round, and we’re proud to supply our conveyancing services in Lincolnshire to house hunters across the county, from those looking for something in county town Lincoln, towns such as Grantham and Boston, and spots with great access to the Lincolnshire Wolds or North Sea coast. The average house price in Lincolnshire is £167,187, with the overall average sale price over the past 12 months standing at £171,952. Most sales in the county involved detached properties during this period, which went for an average of £223,423. Semi-detached houses fetched £139,245 and terraces sold for £120,551. With roots tracing back to the town of Lindsey in the Domesday Book of 1086, Lincolnshire is a historic part of the country. The region is made up of several distinct areas, including the Lincolnshire Wolds, the Fens, the Lincoln Cliff and the Marshes, which run along the county’s coastline. Largely an agricultural area, Lincolnshire is one of the UK’s fastest growing counties, proving popular with people looking to relocate there. The county has few large urban areas, the only two being Lincoln and Boston. As it’s a fairly rural county, transport links are somewhat limited across Lincolnshire. Bus and train networks can be used to get around, but no motorways pass through so you’ll have to rely on A-roads like the A15, A16 and A17. There are no major airports either, but you could always enjoy a break in a seaside town such as Skegness. Lincolnshire is one of just a few UK counties which still decide entry to grammar school by the 11-plus exam. There’s a range of grammar schools across the county including Boston Grammar, Skegness Grammar and Queen Elizabeth’s Grammar in Alford. There are plenty of highly rated non-selective schools to choose from too, while most large villages have a primary school for younger children to attend. All properties in Lincolnshire will fall within one of the following council tax bands, with the charge shown for the City of Lincoln by way of example.